Please note that the content of this book primarily consists of articles available from Wikipedia or other free sources online. 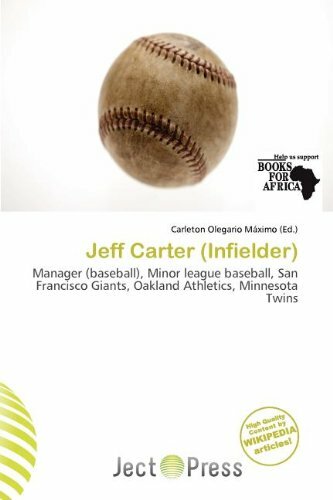 Jeff Carter (born October 20, 1963) is a Manager in Minor League Baseball. Carter was drafted in the 9th round of the 1985 amateur draft out of the University of Nebraska by the San Francisco Giants. He played both infield and outfield during his 12 seasons in the farm systems of the Giants, Oakland Athletics, Minnesota Twins, Florida Marlins and Colorado Rockies. Major League Baseball (MLB) is the highest level of professional baseball in the United States and Canada, consisting of teams that play in the National League and the American League.